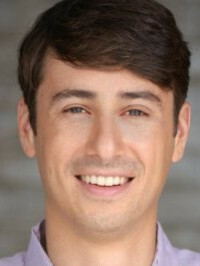 Our interview today is with Gabe Gottlieb, Co-founder and CEO at Santa Monica-based advertising analytics firm Pathmatics (www.pathmatics.com). We spoke with Gabe to learn more about his company—which is backed by Bertelsmann and Upfront Ventures--and what it is working on. Gabe Gottlieb: We provide competitive and market intelligence for online advertising. We help brands and agencies understand how their competitors are advertising, where their creative is running, what their spending is across all sorts of channels on digital, whether that's desktop, mobile, tablet, or video. It's really intelligence around advertising and spending and strategy, so they can adjust their strategy and react to the market. We also work with publishers and ad-tech companies. How did you start working on this? Gabe Gottlieb: My cofounder and I worked at Microsoft for awhile, and were looking at different areas to start a business. We had a couple of friends in this space, and saw that there was tons of opportunity because there is so little transparency in this space. We thought it was a great opportunity to work with publishers advertising sites, but then we realized the opportunity was a lot bigger, so we started working with ad-tech companies, agencies, and brands. We have now been doing this for almost six years now, in LA and Santa Monica. We're funded by Upfront Ventures, Bertelsmann, and others. It's been a good ride. So what's the biggest thing you are working on now? Gabe Gottlieb: Our big announcement recently was that we launched a partnership with Nielsen in the U.S., providing digital intelligence. It's the same kind of desktop, pre-roll, tablet intelligence, and it's a huge validation of our data. Nielsen is a great big player in the space, and they went through a big search process figuring out who to partner with. They picked us, because our data is the best, and so that's a great stamp of approval. They have a huge customer base, and it's a great growth opportunities. We also continue to sell to our existing customers, and we are growing out that business with agencies and brands. So what is special about how you collect data? Gabe Gottlieb: Pathmatics is in the name, and that refers to how we understand how ads are delivered across channels. For example, we can see that Coke is making a direct buy on MSN, or if it's a programmatic buy, who is involved. We're providing a lot more granular information on spending, who people are working with, and it's much more accurate. It's same on the publisher side. We can see who is buying directly, and who is buying programmatically, which is much deeper data than anyone else. We are also more accurate on spend estimates, and know who is buying and can get estimates more accurately. That path technology, at its core, is what differentiates us from anyone else in the space. How did you guys go from working at Microsoft to starting a company here in LA? Gabe Gottlieb: I'm actually a native Angeleno, and grew up here. I had quit Microsoft, and spent some time traveling, and I wanted to return to LA. That was six years ago, which was a great time. The tech scene really has been booming, and it was very much on an upswing at that point. It's been a great time seeing investor interest in startups here and companies growing. It's been really rewarding to see our home town blossom. Gabe Gottlieb: We're adding additional global coverage, in Canada and Germany, and looking at more channels we can add. We want to go deeper on mobile, provide deeper cover on video. There's lots of opportunities. We also that data is one thing, but data is nothing if you can't translate that into action and business value. We are working on our UI, and figuring out how to process the data we have and turn that into action. That' something we will always be working on, which is how to take that data and make it actionable, and help our customers grow their business. It's all about gathering more data, and putting that data into action. What has been the biggest lesson you've learned as an entrepreneur? Gabe Gottlieb: I think, for me, it's the need to be relentless. Startup are roller coasters, and they go high, and they go low, and sometimes it's a very low low. You have to be able to hunker down and know that big, interesting businesses are not built overnight, and you have to be relentless. Gil Elbaz, of Factual, recently gave a talk here saying that you should rejoice in coming across difficulties. If you are facing them, your competitors are facing them, as long as you are able to solve them, you can differentiate yourself from your competitors. It's another hurdle they have to cross to compete. We keep that in mind when we find some technical problem, or when we're figuring out how to market our product. Any problem you run into, as long as you are dedicated to getting through it, makes the company that much stronger because you've crossed that chasm and eliminated that obstacle.